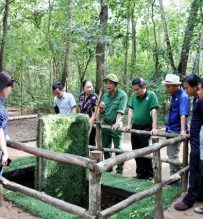 Half day Cu Chi tunnels tour, a legendary underground network for its role in facilitating VietCong (VC) during the war against America. 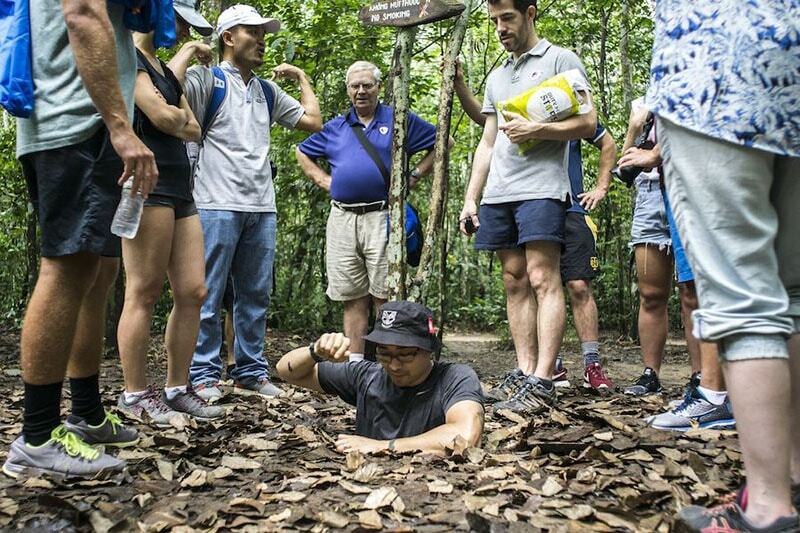 Explore the tunnels network of more than 200km long, parts of which was several stories deep, consists of innumerable trap doors, constructed living areas, storage facilities, weapons factories, field hospitals, command center and kitchens..
5 hours Cu Chi tunnels tour could be in the morning or afternoon. 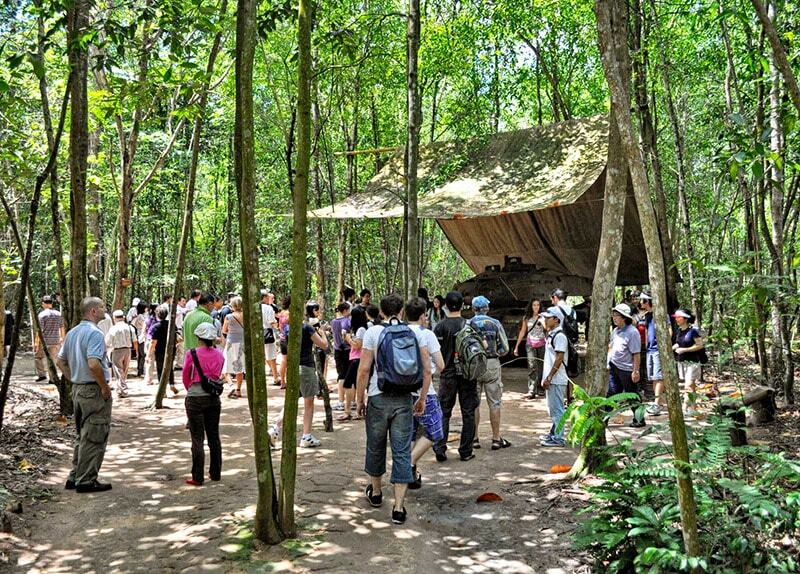 8.00 (or 13.00 afternoon tour) Pick up at your hotel. 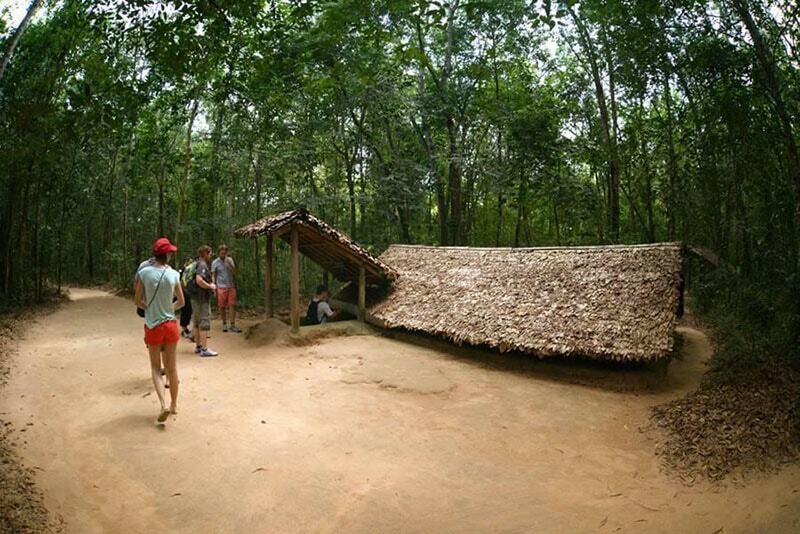 We drive northwest of Ho Chi Minh city to visit Cu Chi tunnels – used to be a VietCong base during America war, a network of tunnels which stretched for over 200 km, parts of which was several stories deep, consists of innumerable trap doors, constructed living areas, storage facilities, weapons factories, field hospitals, command center and kitchens. 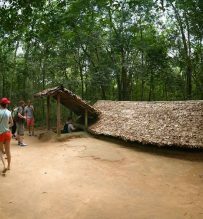 Watch a short introductory video showing how the tunnels were constructed. 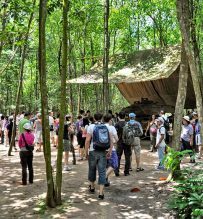 Also on displaying are various man-traps and the remains of an American tank as well as numerous bomb craters made by 500 pound bombs dropped by B52 bombers. 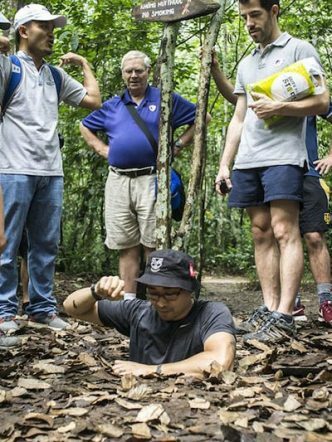 We then spend the next hour exploring the maze of tunnels to see the first hand how the Vietcong communists were able to survive in this underground network. 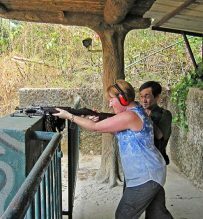 For those who are interested, there’s even an opportunity to fire off rounds from an AK47 or MK16 at the nearby rifle range (option only, fee not included). 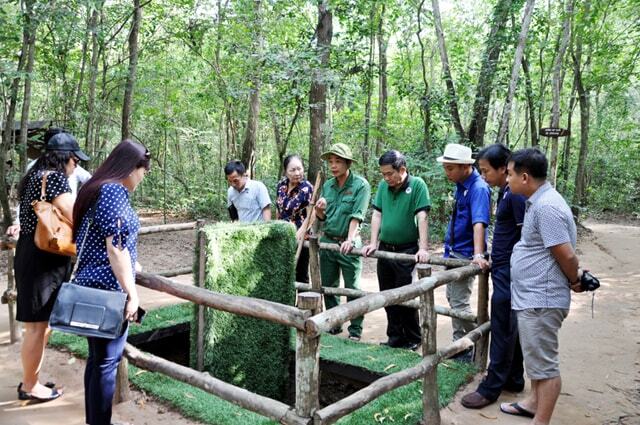 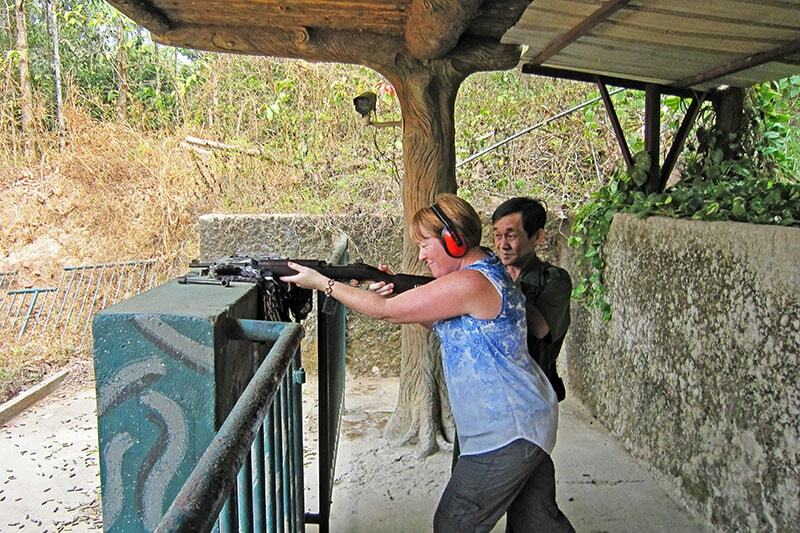 Finish the Cu Chi tour at your hotel.